When Oscar was young, we started him out with vegetables as treats and then slowly introduced fruits. We suspected he would love fruit, but we wanted him to like veggies since they are healthy, low-calorie treats. Our method of starting out with veggies worked and Oscar learned to love kale and carrots, so now we give him fruit as special treats. He gets so excited for fruit, particularly bananas and grapes, that it’s hard not to smile at his anticipation for a new fruit. We recently decided it was time for Oscar’s first apple, and boy was he eager to try it! 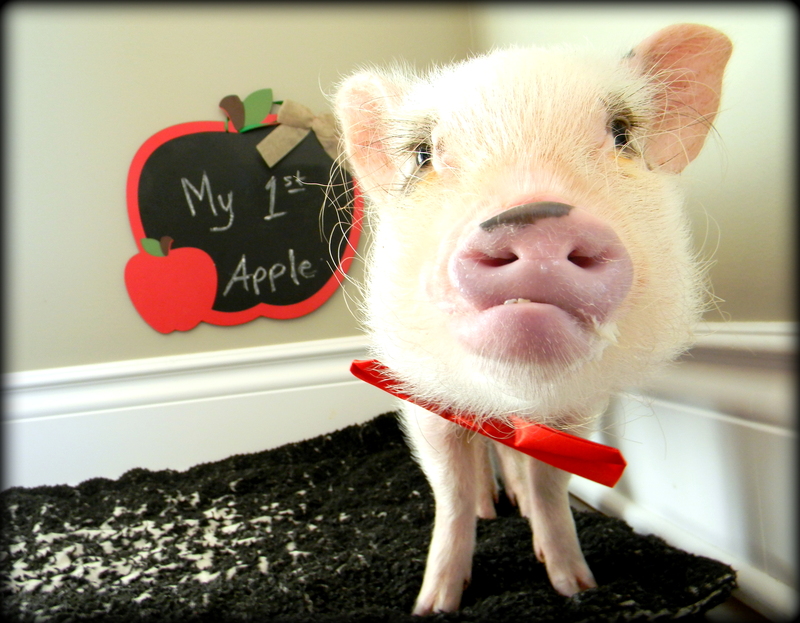 Since apple seeds are toxic to mini pigs, we cut the apple up first and fed Oscar a few slices. He went crazy for the apple, and I’m glad he likes it since it’s an easy fruit to chop up and add to his salads every now and then. Watch as Oscar eats his first apple.